Two very cool things have started the 2017 M.U.S.C.L.E. year for me. First, I mentioned late last year that I hadn’t seen an Error figure in quite some time and then this #17 figure showed up. It looks like someone purchased the figure. Was it you? Can you confirm that the figure is an error with an addition cut to its left arm? And on the heels of that figure a second error figure appeared. This one was sent to me by @TheLostBride. He wasn’t sure if his figure was supposed to look like that – but it was the only way he ever knew his figure to look. 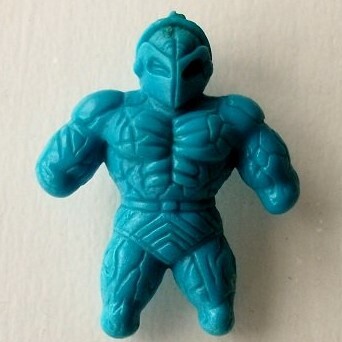 It’s a great error, on a great figure, in a great color, with a great picture. The second item that helped 2017 to start on a strong note was being contacted by one of the men that worked on HiWay Haulers when the M.U.S.C.L.E. truck was proposed. We have been trading some emails back and forth. 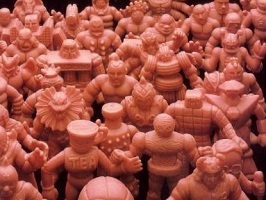 Hopefully he will be able to offer some additional insight into this very interesting part of M.U.S.C.L.E. history. 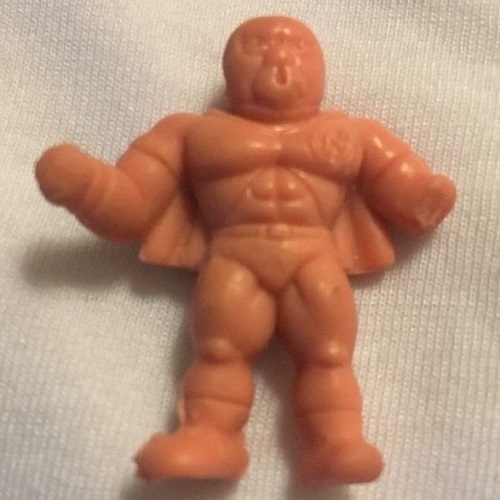 He also has an authentic prototype M.U.S.C.L.E. truck in his possession. I do know that he is interested in selling it – but I don’t know any details after that bit of information. I told him I wasn’t the right buyer, but that I would mention it on the website. If you’re interested in making him an offer, then email me at UofMUSCLE@gmail.com. I will pass along any offers I receive on his behalf. I honestly don’t know any additional details. I made the offer to him so that he wouldn’t be bombarded by maniacs. I did tell him that the last sale I personally was aware of was in 2008 for $2,000. 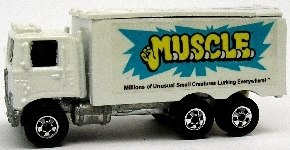 I assume the truck will end up with Hot Wheels collectors, but I hope M.U.S.C.L.E. collectors can end up with a little bit of new information. This entry was posted on Tuesday, January 3rd, 2017 and is filed under Research, UofM News. You can follow any responses to this entry through RSS 2.0. You can skip to the end and leave a response. Pinging is currently not allowed.